Minimalist range featuring sleek lines and a square design, the Neo Minimalist Basin Mixer is suitable for any modern bathroom. Yes. In the unlikely event of a fault, the parts are readily available from our suppliers. Hi, this basin tap needs a minimum of 0.5bar to operate. So as long as you are getting that pressure tap will work fine. Thanks for your question. "Great product, fab looking tap, delivered in good time." The taps look great and a good price as well. Well pleased with these taps. "Solid tap, pleased with the purchase!" "Very nice looking tap, fits in perfectly with rest of bathroom." "Great looking tap, perfect for the vanity unit from Victorian, well pleased." "Lovely tap Looks great, well made and works a treat." 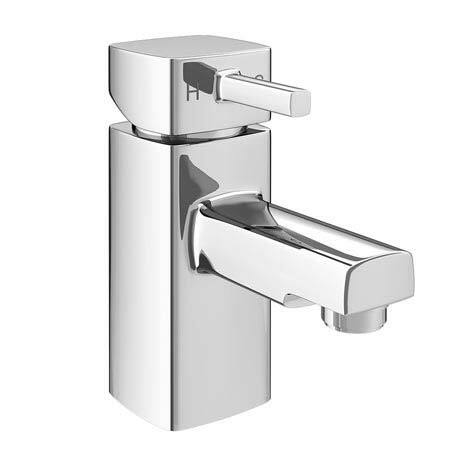 Very good quality tap looks extremely smart really complements the Turing sink cabinet. "Good Quality, Looks Great, Works Perfectly!" "Nice item, promptly delivered at a sensible price."